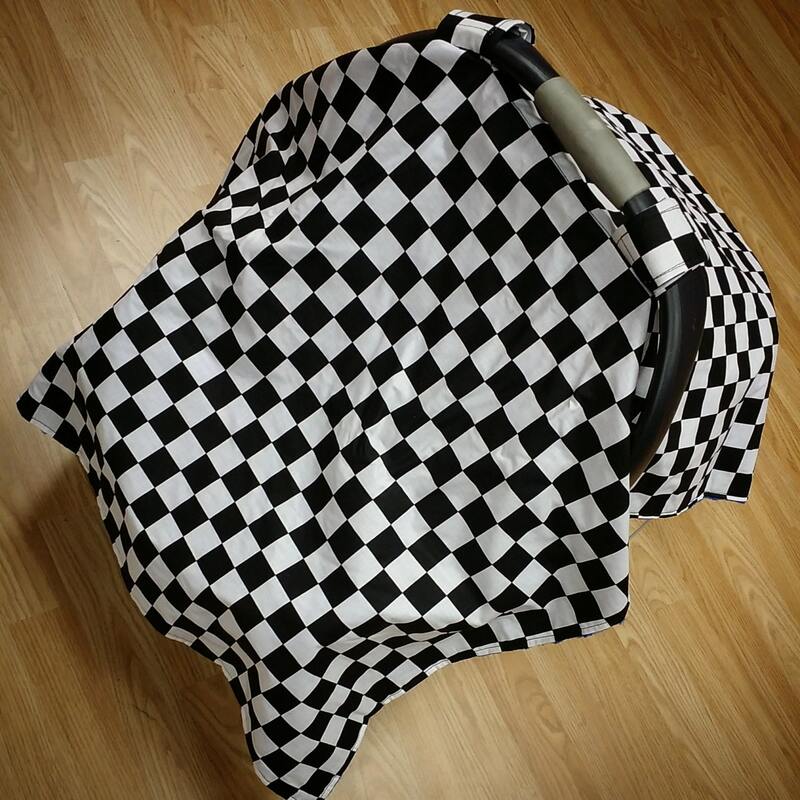 Checkered flag cotton print on top, black minky dot on the bottom - or your choice of minky fabric on the bottom. Feel good quality. Baby won't be here until May so will see if it is as sturdy as it feels. Thank you so much I love it!